Being pregnant and having a baby is amazing and one of the best things that can happen to you. Although this is simply great, if you are a pet owner as well, you should know a few more thing about keeping both your pet and child safe. Simply said, if you have a pet and you have a baby, you will have to introduce them and try to make them the best friends. This is a time-consuming process and mistakes are not allowed, so here are the most important things you will have to know. Maybe it sounds strange, but your pet should have the first word when it comes to meeting him to a new baby. Always do this outside, in order to eliminate the need of a pet to protect his territory. Babies are small, obviously, so make sure you watch them closely during the first couple of weeks and how these two will react. Slowly introduce your pet to a new baby. For example, it is a wise decision to use a stroller while walking your dog, even before you get a baby. This is important because it can help you get to use your pet to a new baby that will arrive soon. Forcing these two to become friends as soon as possible isn’t an option. Always take the things slowly and make sure you pay attention to the small and irrelevant actions. Most babies will like your pet and they will be thrilled with them, but make sure that they don’t know how to treat a pet. Place them closely to each other and watch for them. Your goal is to monitor their behavior. If a baby tried to ‘’hurt’’ your pet, don’t allow it. Some pets won’t like this, so they may try to defend themselves. On the other side, some babies don’t like pets, so they will cry as soon as you leave them with a pet. However, after some long introduction, the things should become better and simpler. Place both of them on the floor or on the bed and give them toys. 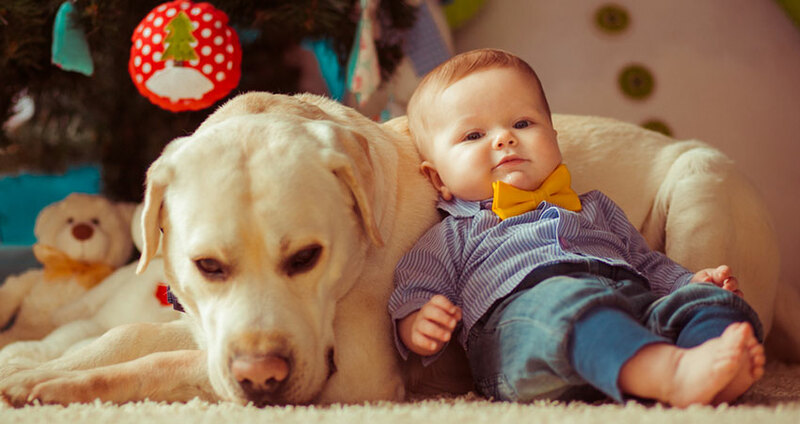 Pets and babies have one thing in common. Both of them like toys and they like playing. Try to find the most interesting toys for both of them, so they two can start playing. During the play time, they will get used to each other and that can help them become the best friends. As the result, the friendship will slowly start to advance. Keep in mind that you cannot rush these things. You must take it slowly and allow to both of them to find their limits and their rules. In general, your baby will get used to your pet in a few weeks, but the specific time cannot be specified. Once they become friends, they will stay like this for a long time and your baby will love your pet. It sounds impressive, and it is.